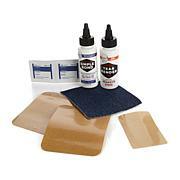 Take the hassle out of household fabric and leather repairs. 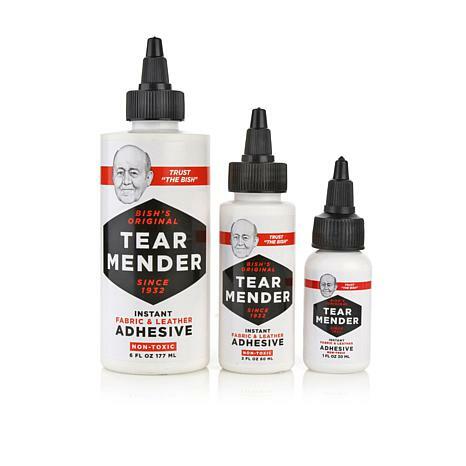 Tear Mender's powerful non-toxic formula sets in three minutes and can be washed in as little as 15 minutes. 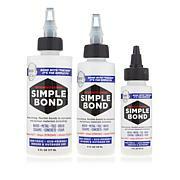 Use it for a variety of fabric repairs including denim, upholstery, canvas, vinyl and craft items. You receive a set of two bottles, perfectly sized for home, work or travel. 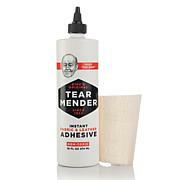 Only Tear Mender is non-toxic, not the entire kit. Not recommended for individuals with latex allergies. Please ship! Cant rate when I didnt get it yet! Love this product! Have a camp chair that the seam came apart. Since I never returned the chair (not from HSN) I used the Tear Mender to seal the seam. Worked wonders!!! Still has not come apart, and we are not gentle with the chair. Have had the same good results with other items. Our family has tried this on many different items and it has always worked. I didn't even know that anything like this existed so thanks! 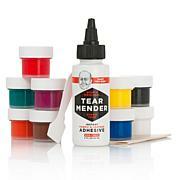 This is a great repair kit. This comes in handy for a person like me that does not know how to sew. I really need this in my life..